What can you expect from AgencyCon? We will have an exciting line-up of agency experts, discussion and networking! AgencyCon is the newest conference from the founders of SearchCon, AgencyCon is two days of mountain adventure combined with invigorating agency collab! When we’re not hiking, shopping or hitting the Beaver Run Resort Spa, you’ll hear from leaders in the world of PR, creative and digital marketing and creative, meet with other key players in the digital space, and empower your team to grow your business in this rapidly changing marketplace. Enjoy an exciting lineup of industry experts in agency growth, demand generation, account-based marketing and operational efficiency. • Intimate setting: Small conference, small groups and extra networking. • Actionable takeaways: How many times have you left a conference with just broad advice that you cannot apply? That won’t happen here. Cast studies, discussions, and lessons you can use are all in the DNA of this conference! • Informative: Speakers are not allowed to “sell from the podium”. • Deeper connections: Leave with connections, not leads. You’ll start relationships at AgencyCon. We promise an event filled with speed networking opportunities, collaborative discussions, relevant case studies and actionable takeaways. Sign up Summer 2019 for this must-attend event for marketing firms! AgencyCon is the “little brother” of our larger SearchCon event – providing a laser focus on agency growth through connection, collaboration and community. 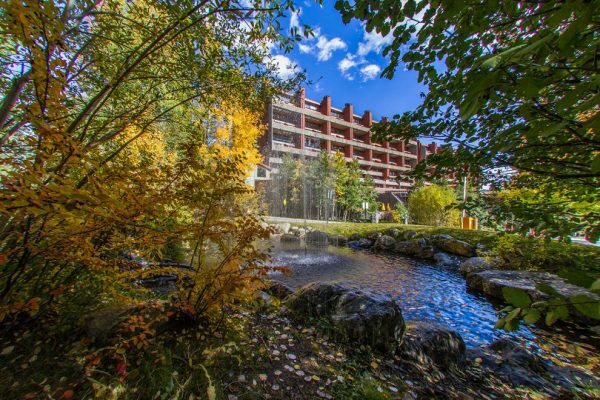 Accommodations and conference space provided by Beaver Run Resort in beautiful Breckenridge, Colorado. Pamper yourself at Beaver Run’s spa during your downtime. Enjoy local hiking, brewery tours, shopping and soak up that mountain air. It’s a great chance to hang out with speakers, sponsors and other attendees!